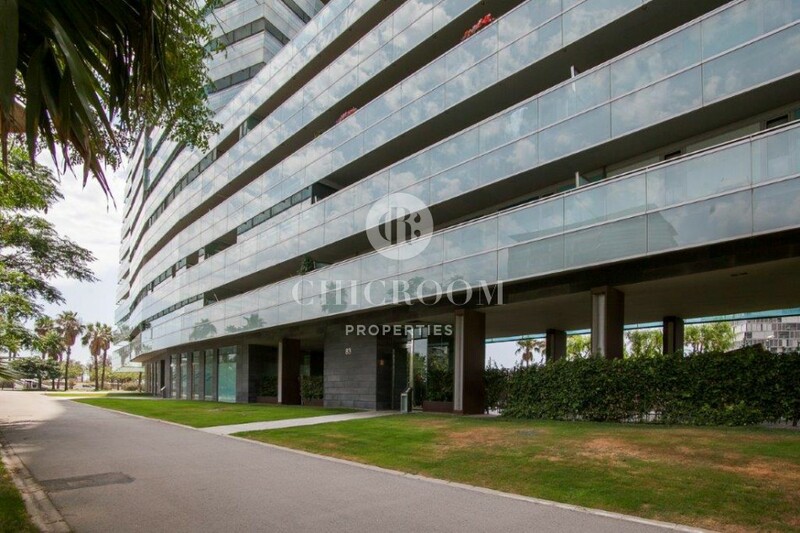 It is a fabulous luxury 2 bedroom apartment for sale in Diagonal Mar Barcelona in the community of Illa del Mar, in front of the beach and in one of the most coveted buildings. 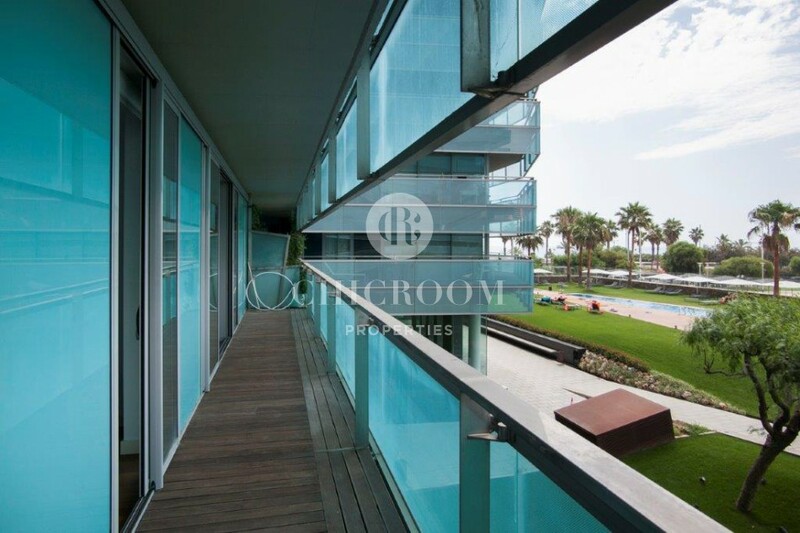 Located on the first floor, it consists of 80m2 with 50m2 shared between two terraces, one north face and the other facing south with sea views. 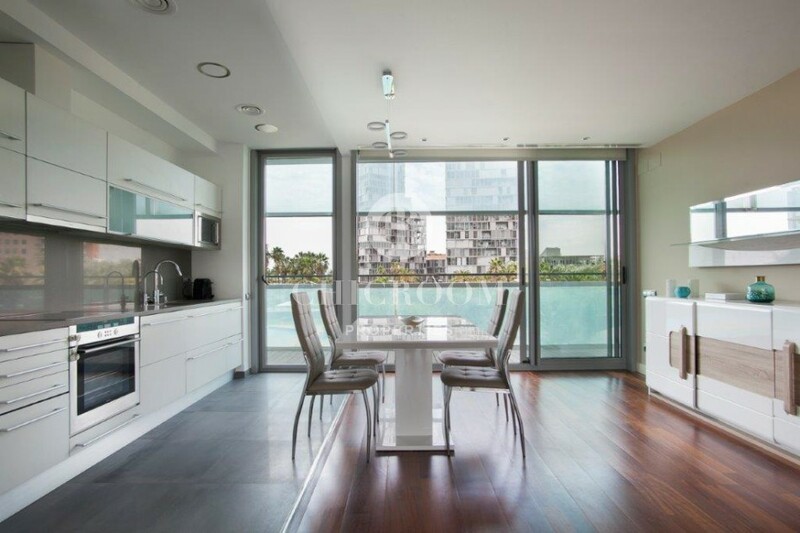 There is a fully equipped open kitchen which leads to the living room and direct access to the terraces. 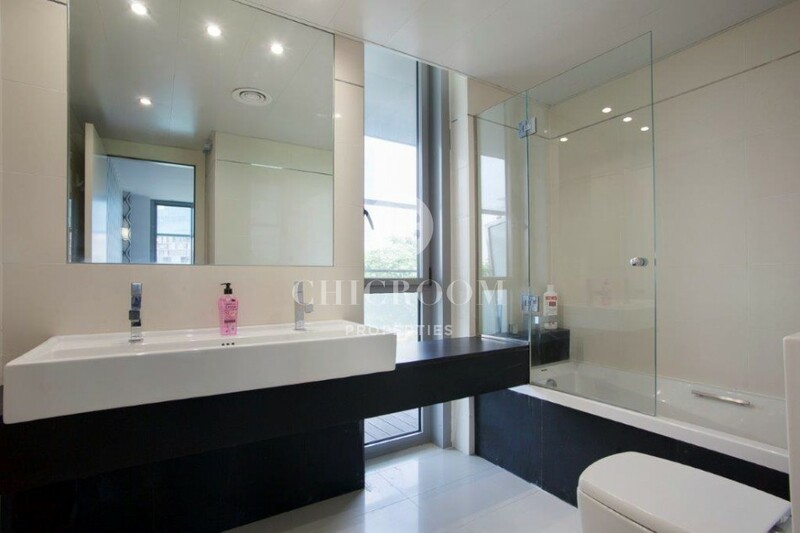 There is a bathroom with shower, a double bedroom with fitted wardrobes, a TV and another double bedroom with bathroom, TV and wardrobes. 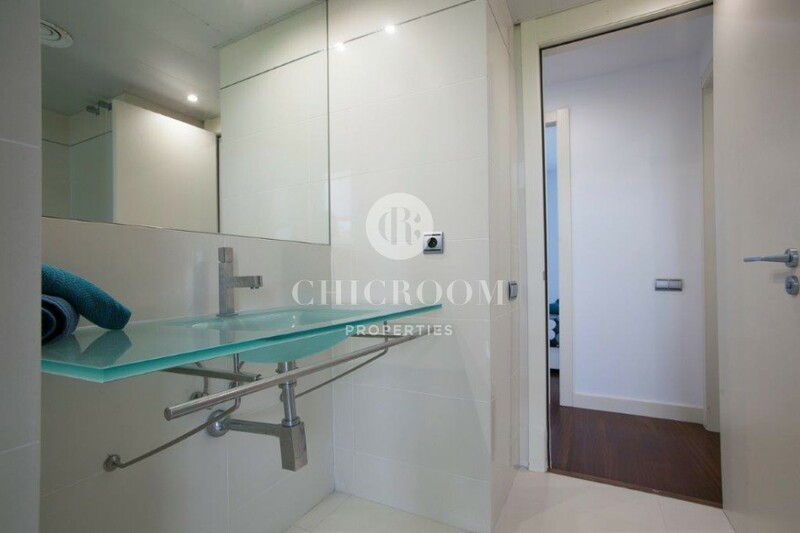 There is a small laundry room where you will find the washing machine and dryer. 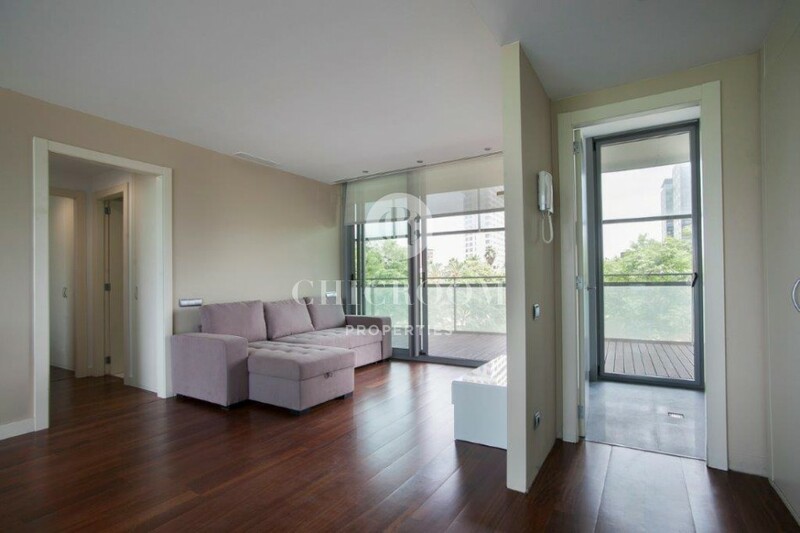 You can access the terraces of all rooms. 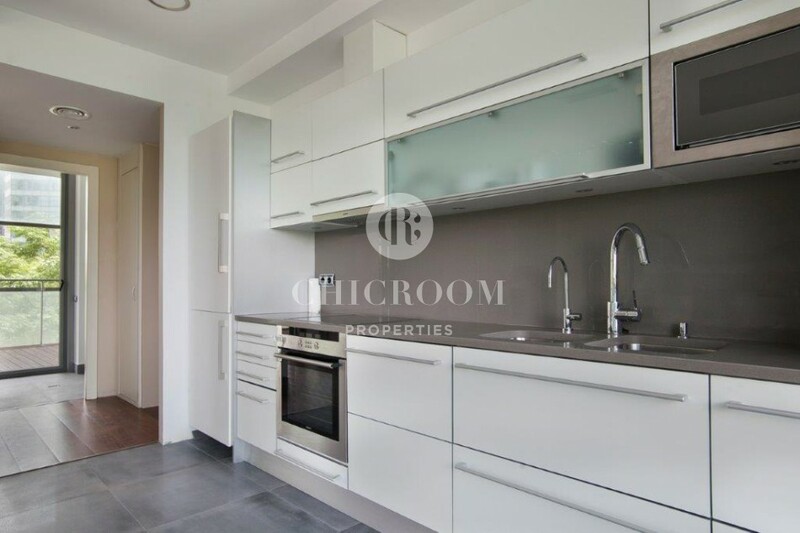 This bright apartment has air conditioning and heating through the vents, solid wood flooring, satellite TV, sound system, 1 parking space included, additional storage space, communal areas with pool, A children's playground, a gym and gardens. 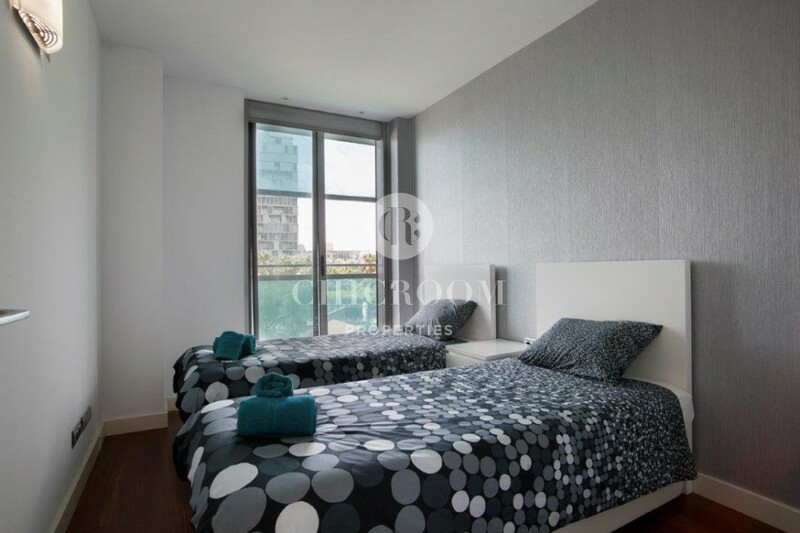 The accommodation also has 24-hour security and a concierge. 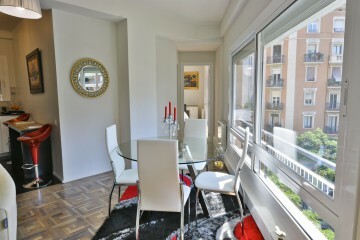 The apartment is located in the exclusive area of Diagonal Mar in Barcelona, a few meters from the beach of La Marbella. 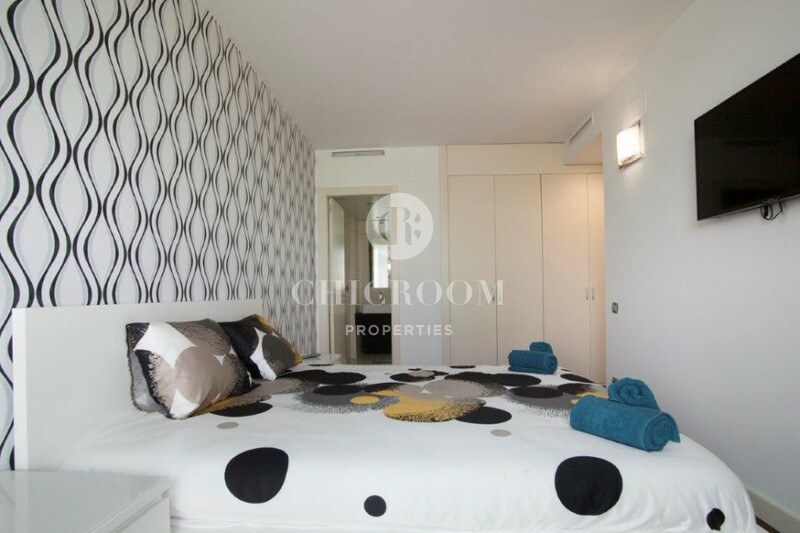 It is also well connected by public transport, close to the L4 Selva de Mar metro station. 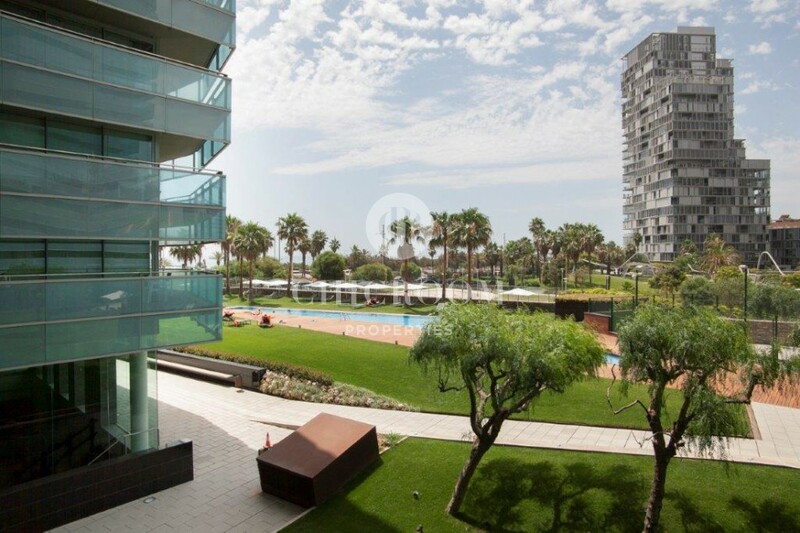 This is a new development area at the northern end of Barcelona with chic hotels, tall buildings and a very clean beach. 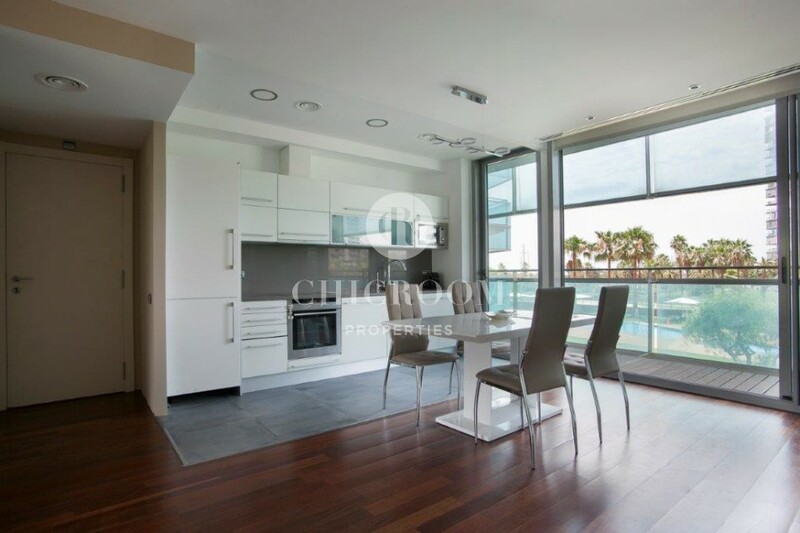 Although it is not typically Spanish or Catalan in style, you will enjoy luxury and a high quality of life here, with modern and spacious apartments that will have an incredible view of the sea. 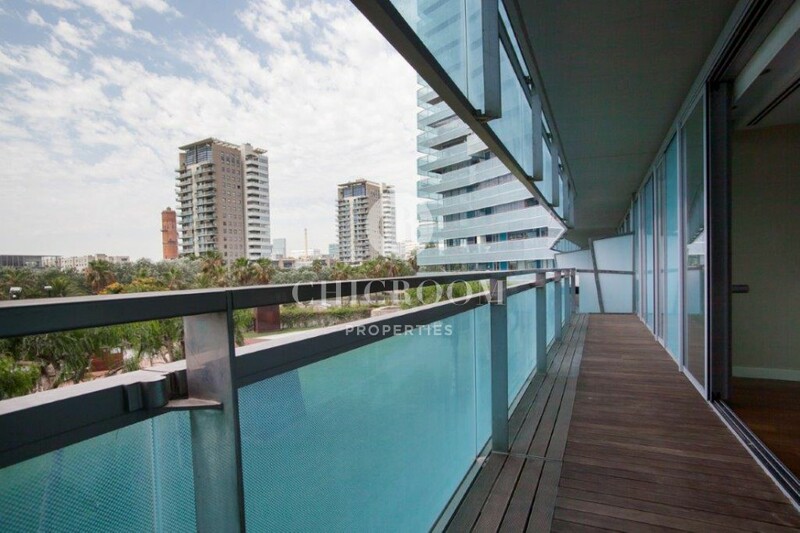 You will find everything You need in the Diagonal Mar shopping center with a large supermarket, cinema and fashionable brand stores and countless restaurants. 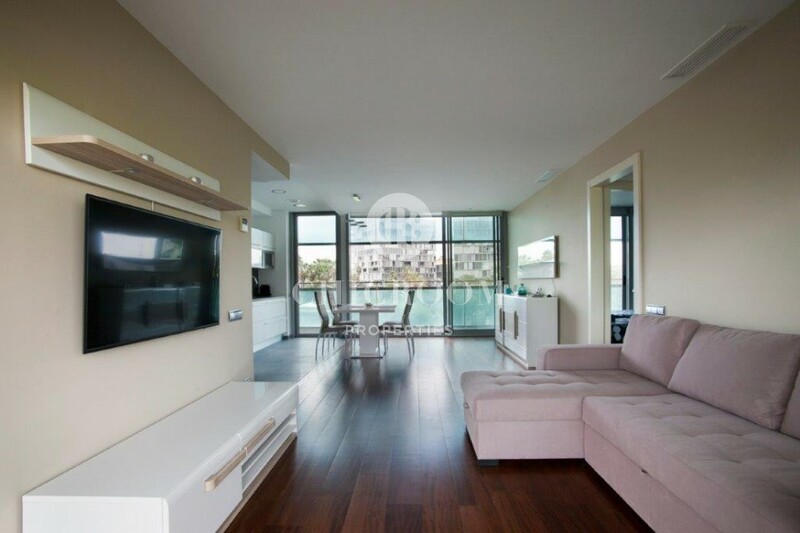 There are still plans for a new marina and other diverse developments. 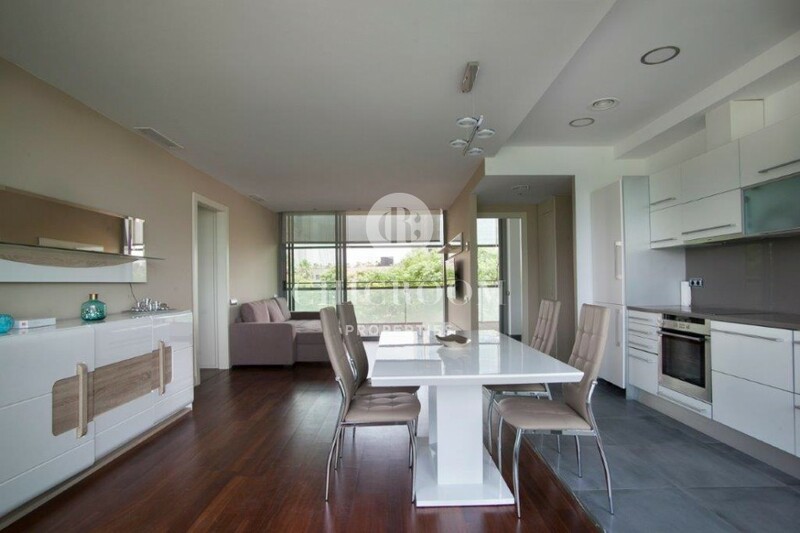 You can also enjoy the Museum of Natural History of Barcelona which, if you are interested, should occupy you for a few hours! 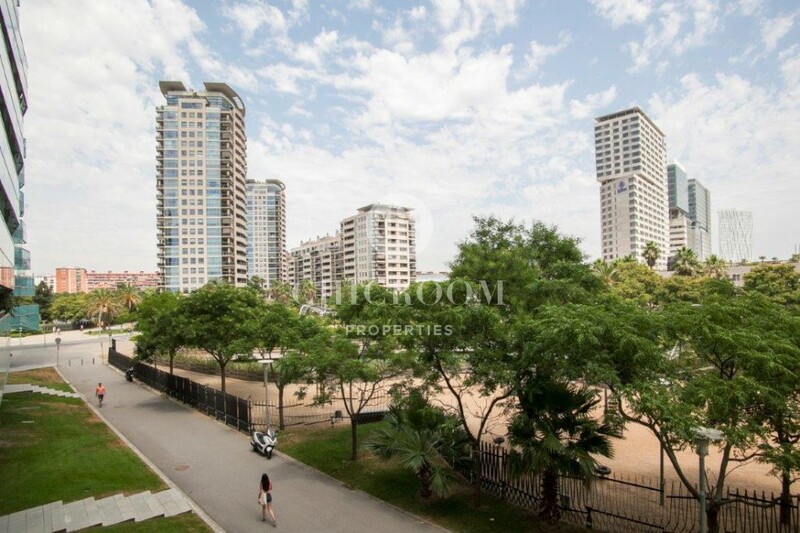 There is also the Diagonal Mar Park for walking. 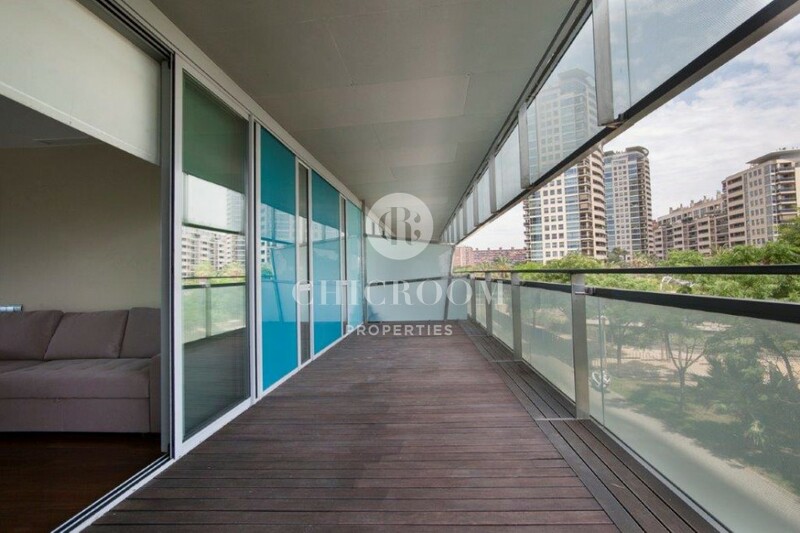 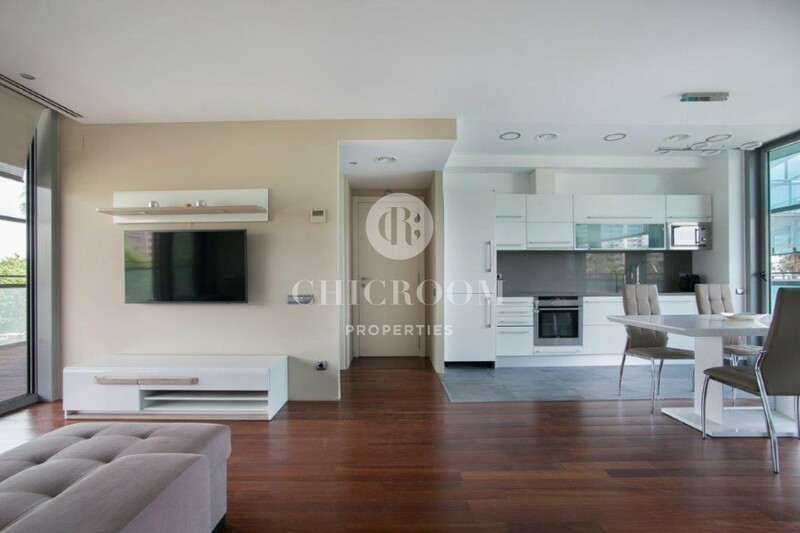 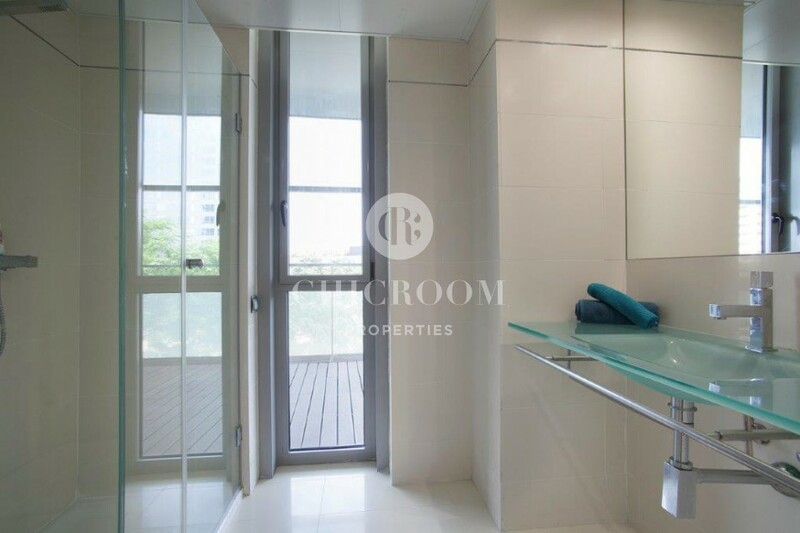 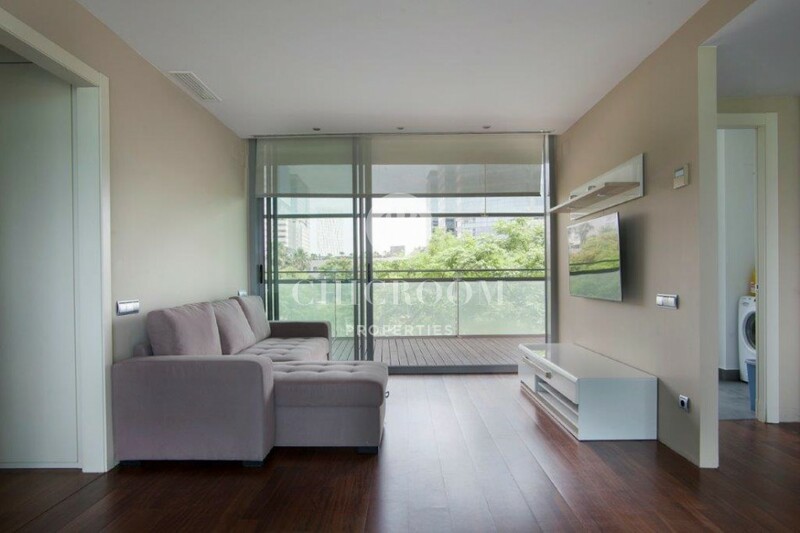 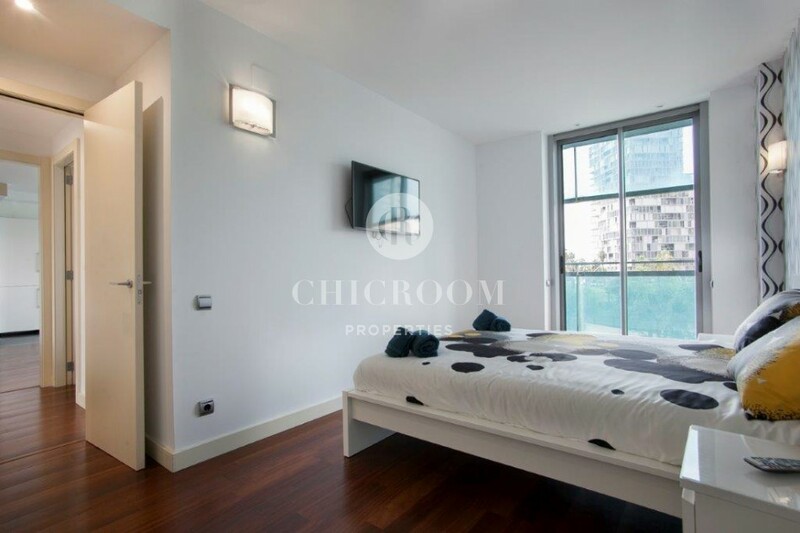 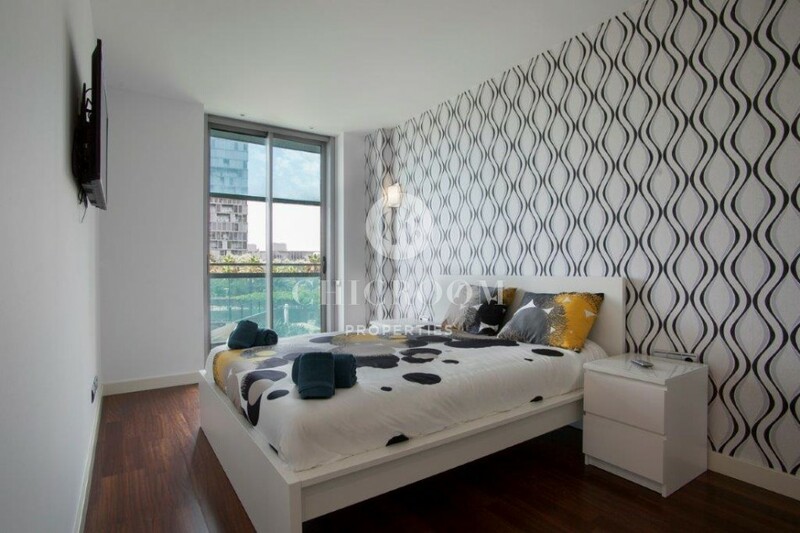 This Luxury 2 bedroom apartment for sale in Diagonal Mar Barcelona is the one you need? 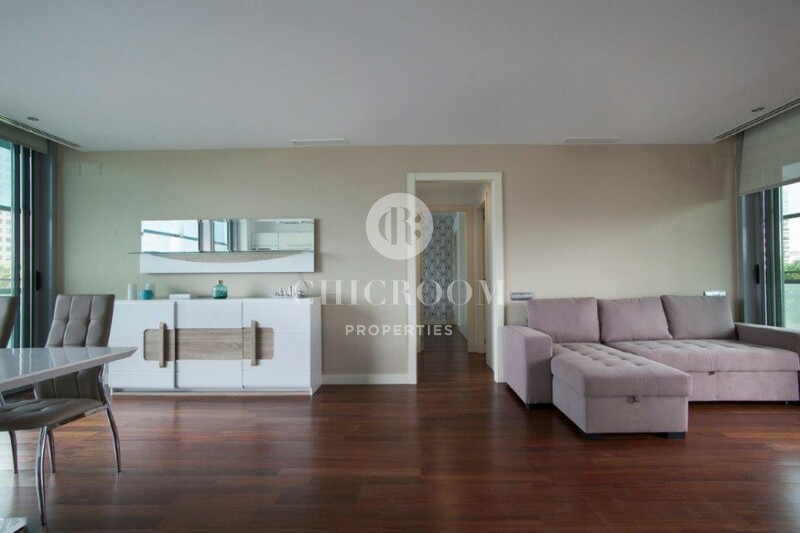 Contact the ChicRoom Properties team for more information!